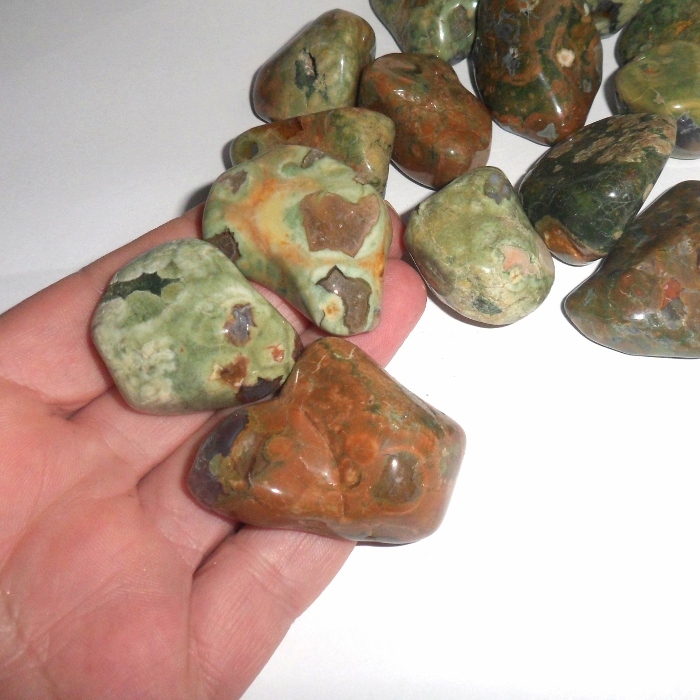 Huge polished rainforest rhyolite jasper gemstone to add to your earthegy energy rock collection. 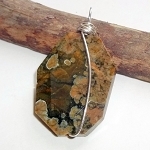 Rhyolite strengthens the soul and body, and helps with creativity. Because it enhances self esteem and self worth, rhyolite helps bring things in the past to a resolution so one can move forward. Rhyolite helps you find your potential and creativity, and is useful for past life healing. 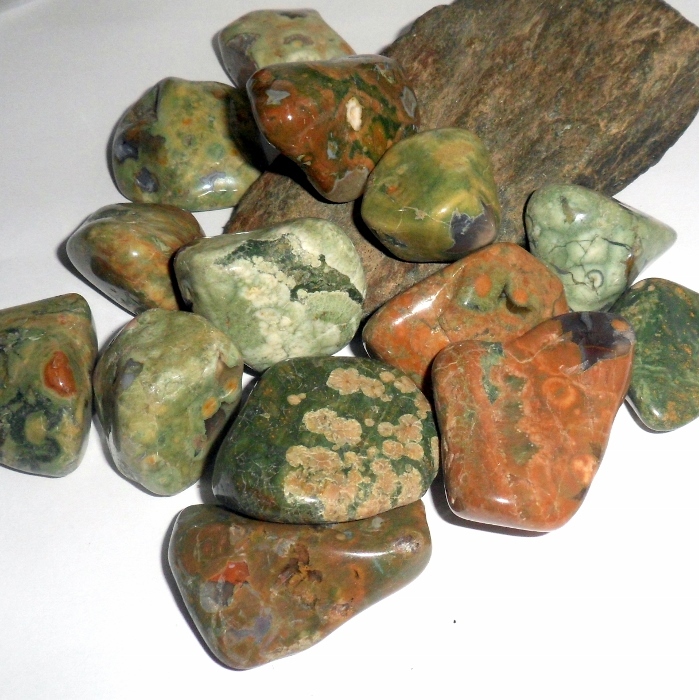 Rhyolite helps resolve difficult matters, and also treats skin disorders and helps dissolve kidney stones. Rainforest rhyolite stones are highly polished extra large sizes ranging from 1 1/2 inch by 1 1/4 inch all the way up to 2 inches by 1 inch. 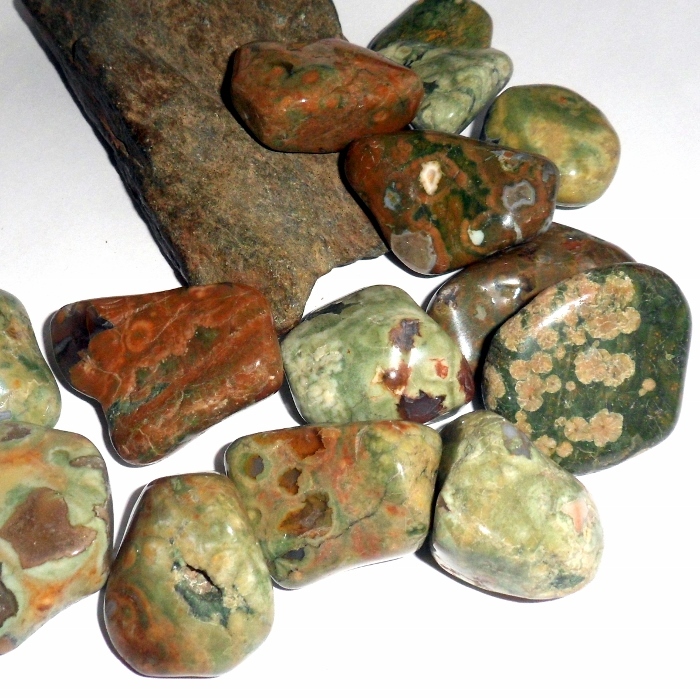 These jasper stones were mined in Australia and contain light and dark green mottling with some chalcedony spots.